Volkswagen has announced that Chattanooga, Tennessee will be the company's North American base for manufacturing electric vehicles. This expansion of Volkswagen's U.S. manufacturing facility will include an investment of $800 million and will create 1,000 jobs at the plant, plus additional jobs at suppliers. EV production at the site will begin in 2022. Chattanooga will be the first dedicated location in North America for production of a vehicle using Volkswagen's modular electric chassis, or MEB. In addition to Chattanooga, Volkswagen is building the first dedicated EV production facility in Zwickau, Germany, starting MEB production by the end of 2019. Volkswagen will also add EV-production at facilities in China in 2020, and in the German cities of Emden and Hanover by 2022. 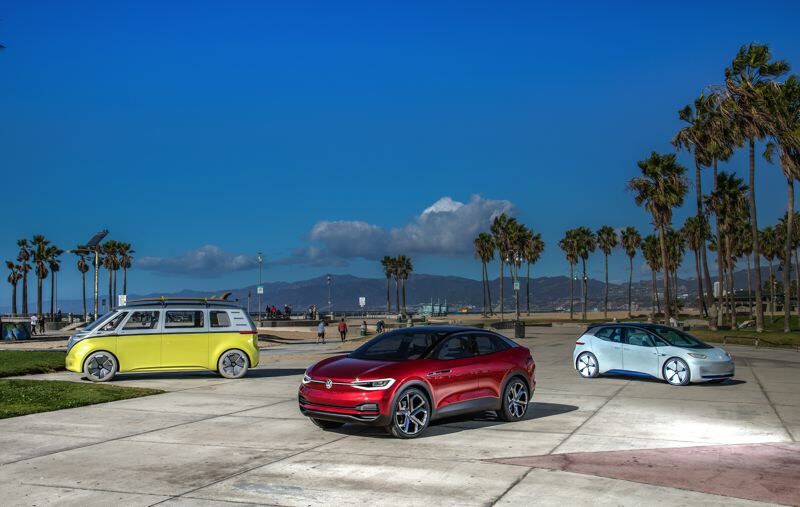 "The US is one of the most important locations for us and producing electric cars in Chattanooga is a key part of our growth strategy in North America," said Dr. Herbert Diess, CEO of Volkswagen AG. Volkswagen of America will offer the first EV based on the MEB platform to customers in 2020. This vehicle will be a version of the ID. CROZZ compact SUV, first shown at the North American International Auto Show in Detroit last year. Because of the revolutionary design of VW's EV platform, this vehicle will offer the interior space of a midsize SUV in the footprint of a compact SUV. Volkswagen will also offer a multi-purpose EV van based on the ID. BUZZ concept, which resembles a VW microbus from the 1960s. Globally, Volkswagen Group plans to commit almost $50 billion through 2023 toward the development and production of electric vehicles and digital services. The Volkswagen brand alone has forecasted selling 150,000 EVs by 2020 worldwide, increasing that number to 1 million by 2025.